For the Avengers release last year, I did a series of pencil drawings where I mixed colored pencil and graphite together. I liked the end result, but the truth is that my heart lies with all-pencil drawings. I’m still trying to improve my pencil skills, so I’m continuing to work exclusively in pencil. 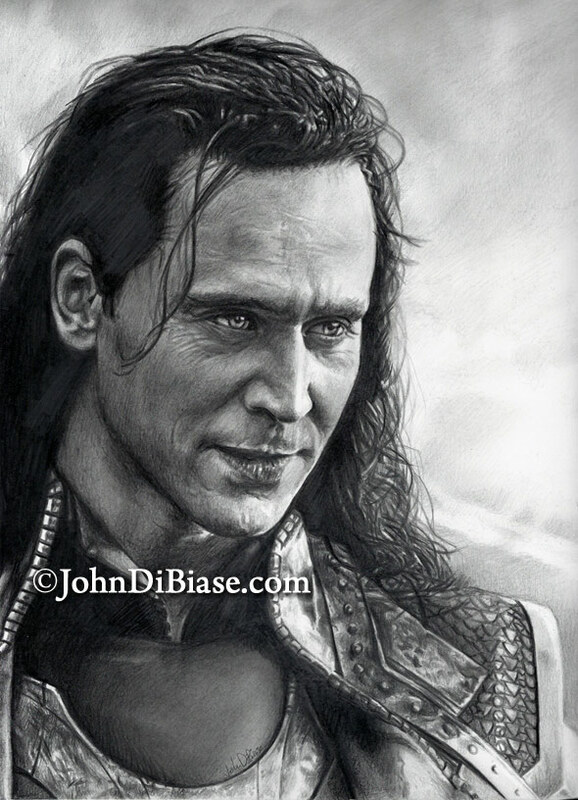 The latest is a new take on Loki from Thor 2, and I’m pretty satisfied with it. Admittedly, it felt like I could just keep working on it more and more… endlessly. But I still pushed myself more than in the past. Hope you like it too!